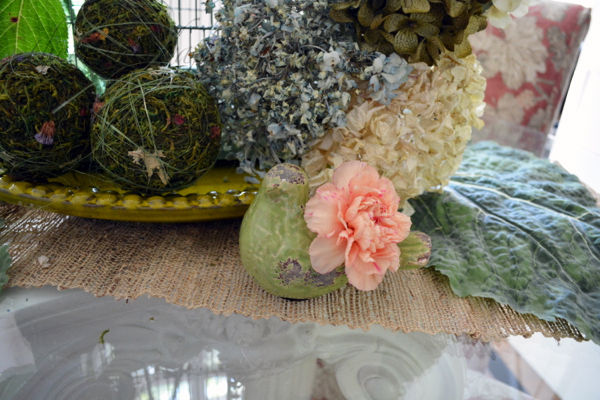 Are your summer blooms fading away? Hi Jenna, yes, all my blooms have practically disappeared with this heat! 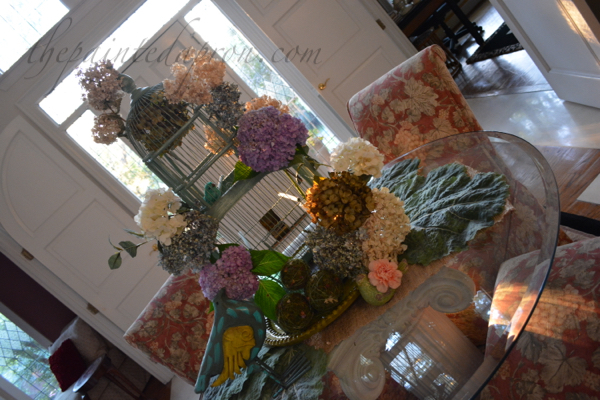 The birdcage is a gem and I love how you decked it out in blooms. I think it is perfect for the last days of summer. 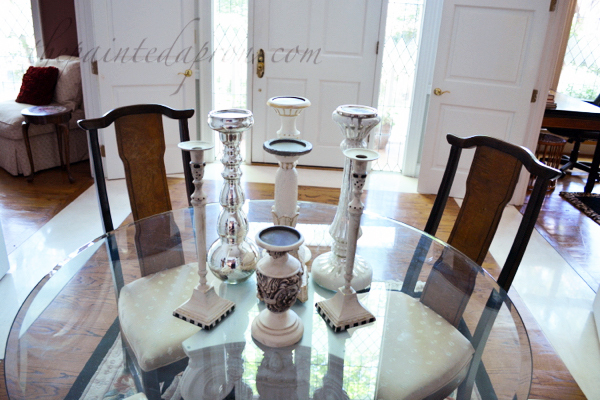 Love your candlestick grouping too………. 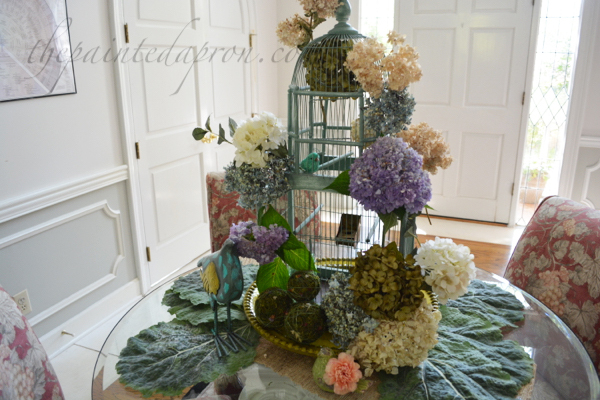 I love how you used the blooms and birdcage. So pretty! 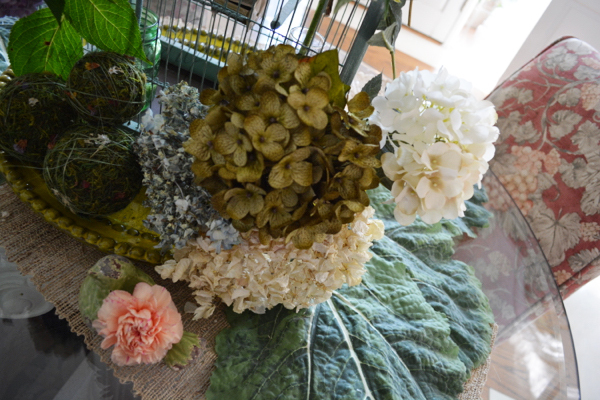 I miss our hydrangeas. I love this! Thank you for the inspiration! Thank you for sharing on Idea Box! This says, “Whisper fall softly.” I love fall, it’s really my favorite season. 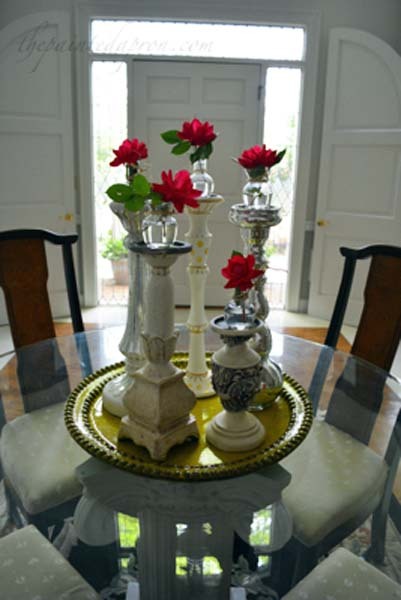 Lovely centerpiece. 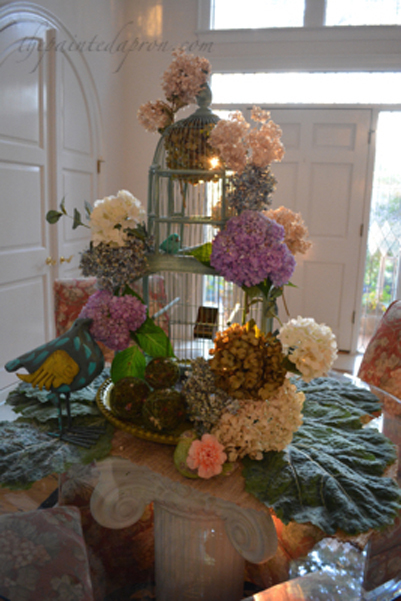 Jenna, Blooms and birdcages are two of my favorite things and I love the whimsy of your arrangement! It is beyond hot here and we desperately need rain. I’ve been out the door lugging the hose around at 6 am everyday trying to beat the heat and keep the flowers from perishing. My hydrangeas put on a new flush of blooms late last summer that lasted through fall but I don’t see that happening this year. Love your birdcage! It looks just wonderful…. It looks wonderful – love it. 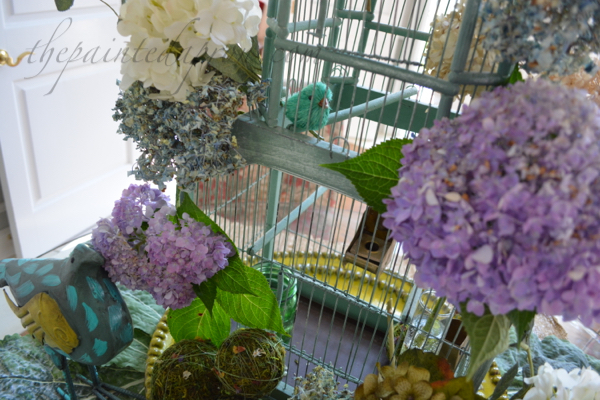 Your bird cage is gorgeous! 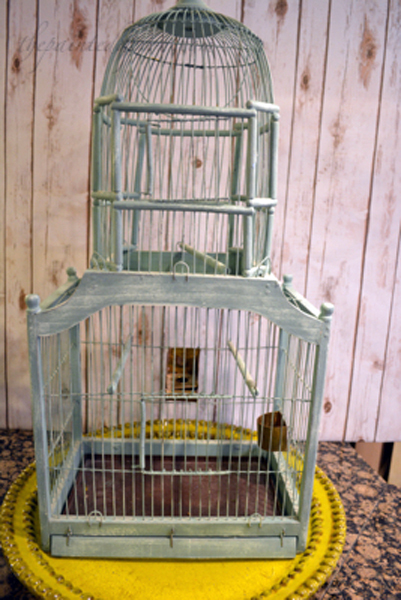 I love bird cages, and I just bought one a few weeks ago to hang in my craft room. The blue bird is cute, too. i have a red bird in mine. 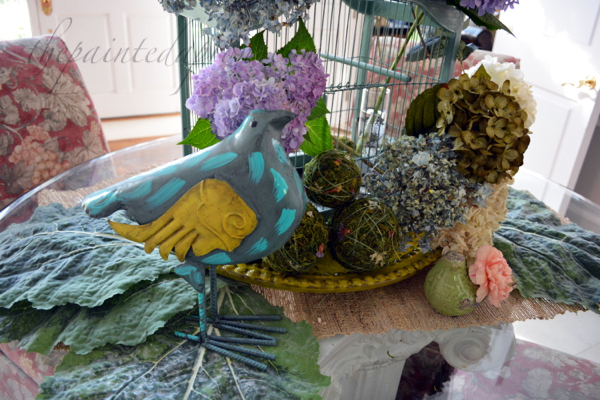 I’m looking for more bird cages and birdhouses to decorate the house with. Thanks! Have fun with your cages! How lovely! 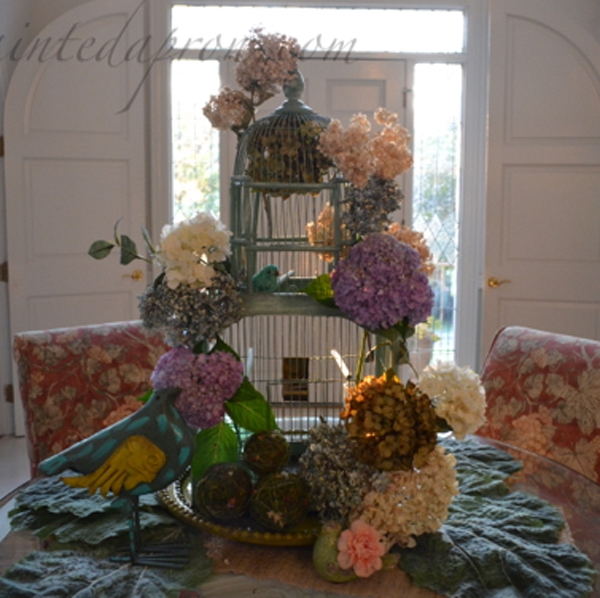 I have a birdcage AND hydrangeas to copy this! Thank for the inspiration and for sharing at Something to Talk About! 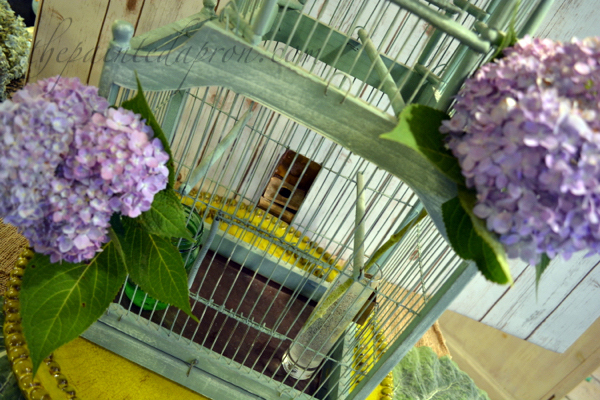 This painted birdcage is adorable, dear one!!! LOVE the hue of the birdcage!!! 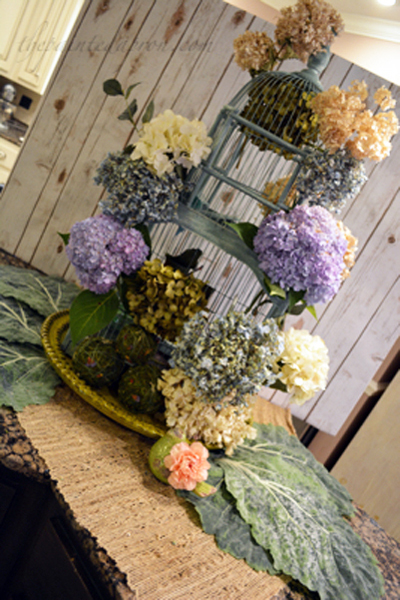 Filled with hydrangea makes such a statement centerpiece!!! 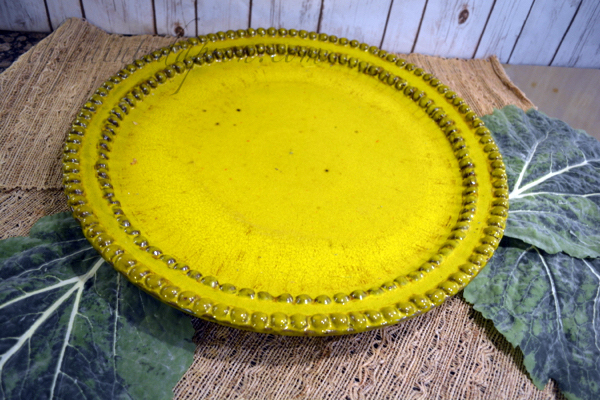 I adore those cabbage/ lettuce leaf place mats!!! 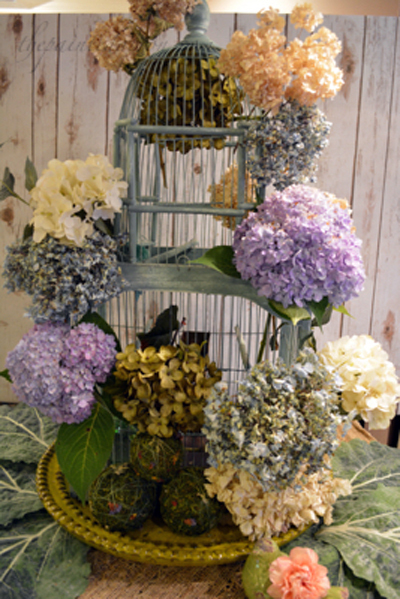 Love your blooming birdcage. 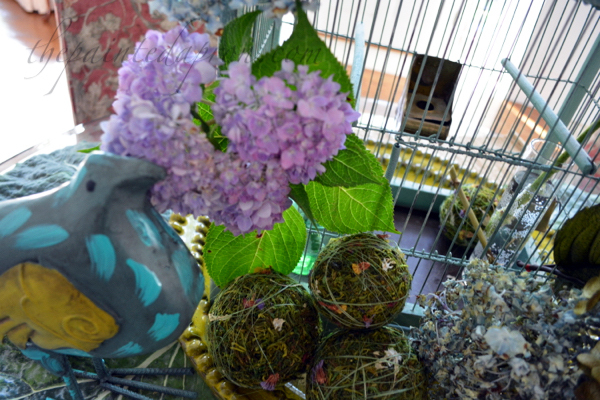 Your birdcage is a gorgeous shape and color. Yes, sadly our hydrangeas are fading. I have some new blooms where I trimmed off the old ones a month or so ago. We’ve had so much rain that it has helped with new blossoms. Your foyer looks very nice and I understand the need for a change.I’m not ready for pumpkins yet!!! I think you know how much I like birdcages so your presentation is a real winner. 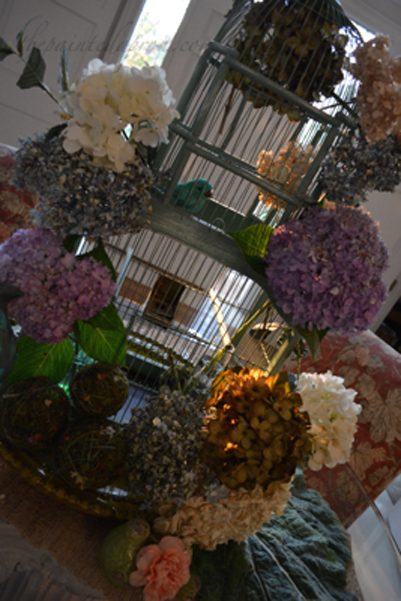 I just found a cool stand with birdcages tat TJ Maxx hat I’m using on the deck with a little pot plants. 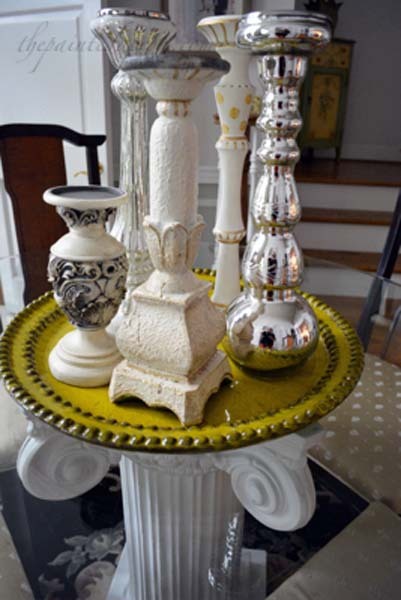 Jenna, what a beautiful centerpiece for your foyer! 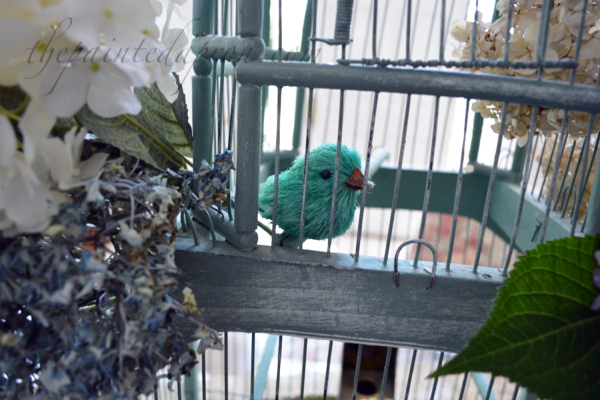 I have always had a thing for birdcages (lol)! 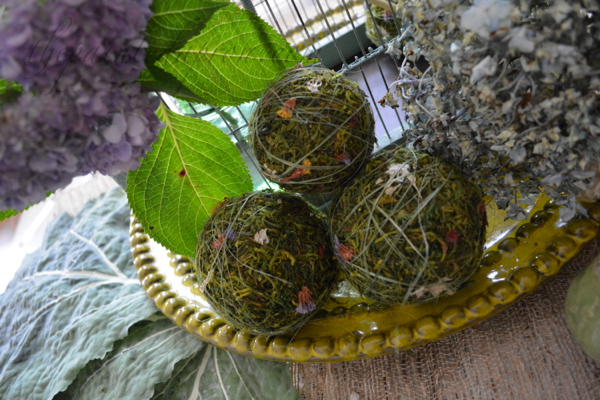 The real, the dried, and the faux all meld together in harmony! 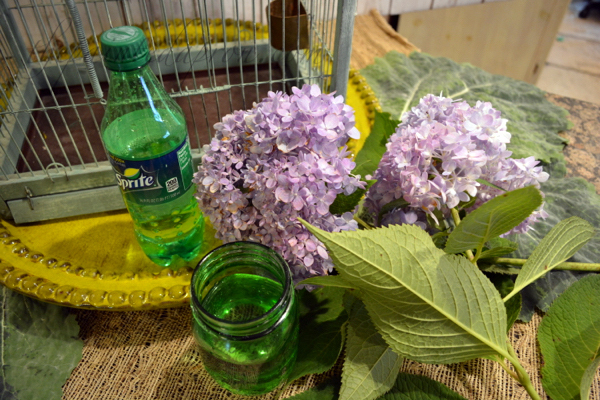 Thanks for sharing at Gardens Galore!